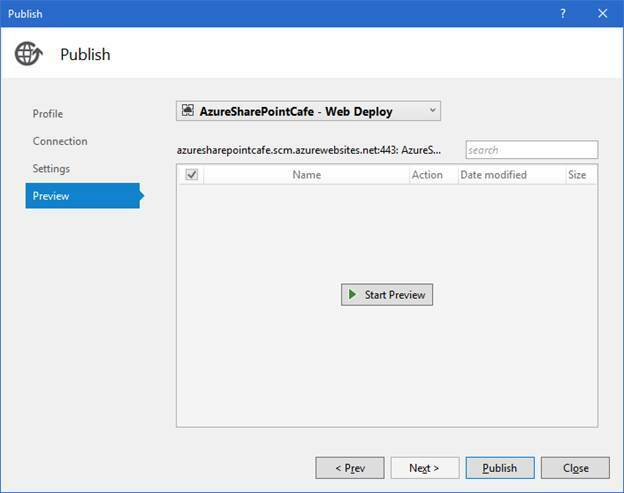 Create and Deploy WebApp in Microsoft Azure App Service? 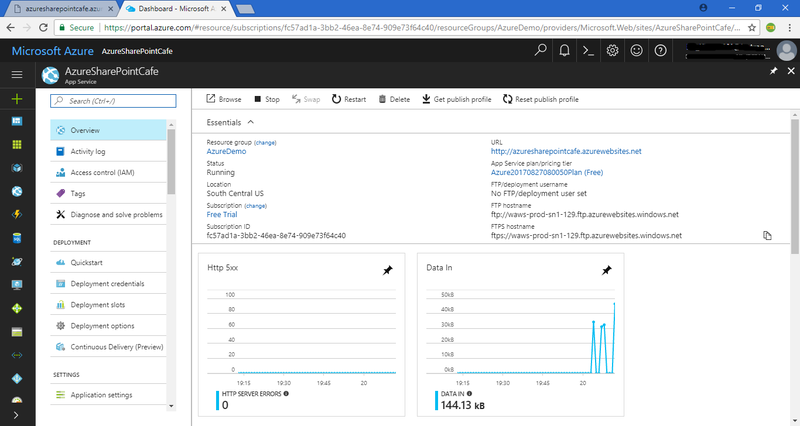 If you are new to Cloud Computing, please read my earlier blogs on Cloud Computing, What is Azure and Explore Microsoft Azure Service. 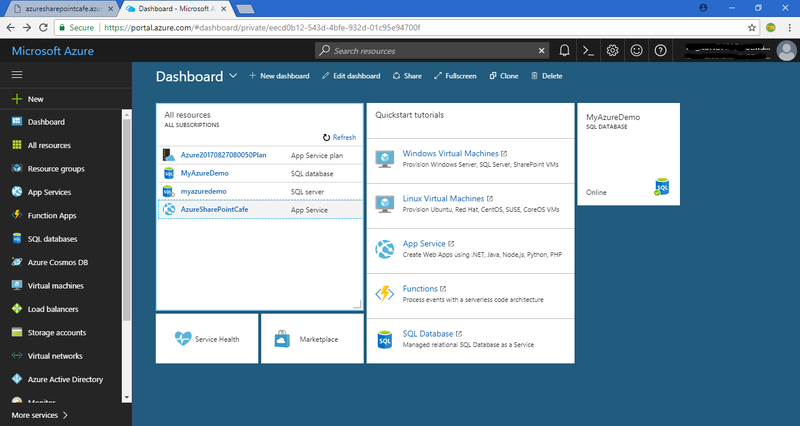 This is my 4th blog on Cloud Computing series along with Microsoft Azure. 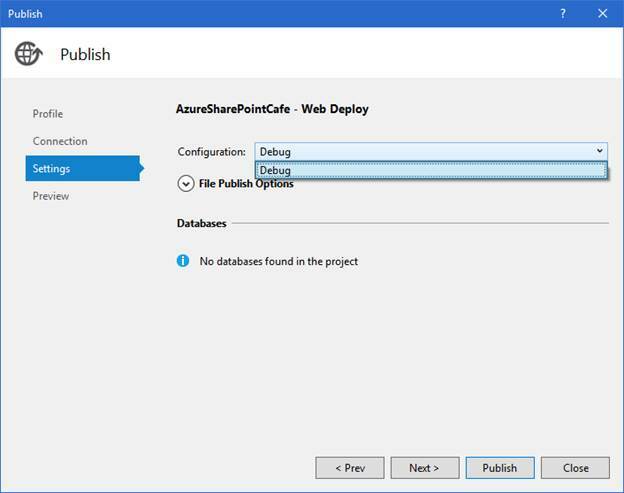 Let's move ahead, in this blog I will explain - How you can deploy a Web Application in Microsoft Azure. 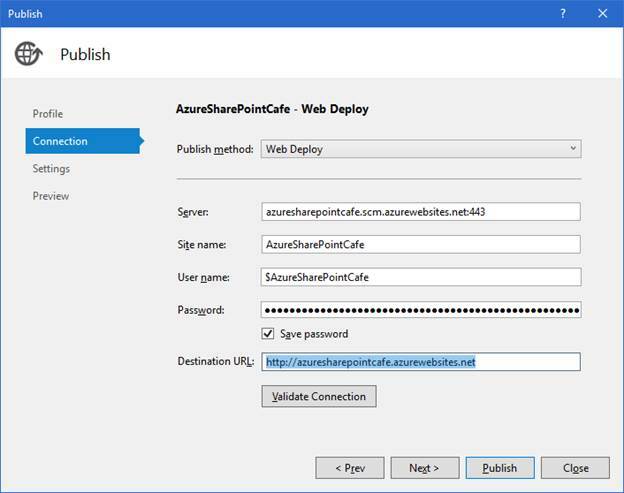 I have created an Asp.Net website and deployed on Azure App service. 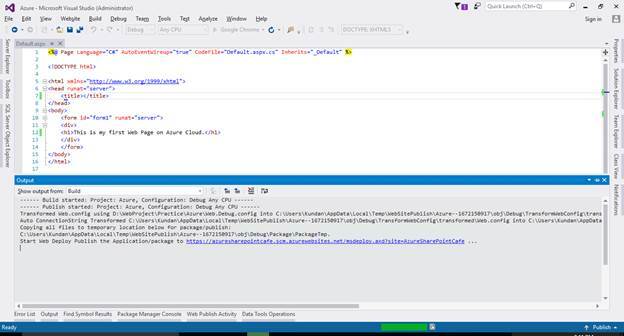 To do this I have used Visual Studio 2015 and I have a Microsoft Azure portal about which I have already explained here. 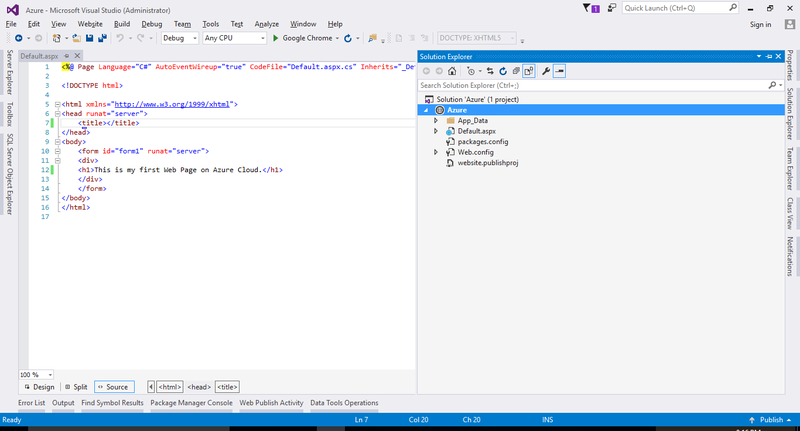 So the very first step is to create an empty web site in Visual Studio 2015. Add a web page with name default.aspx and add some content. In my case, I have below web page. 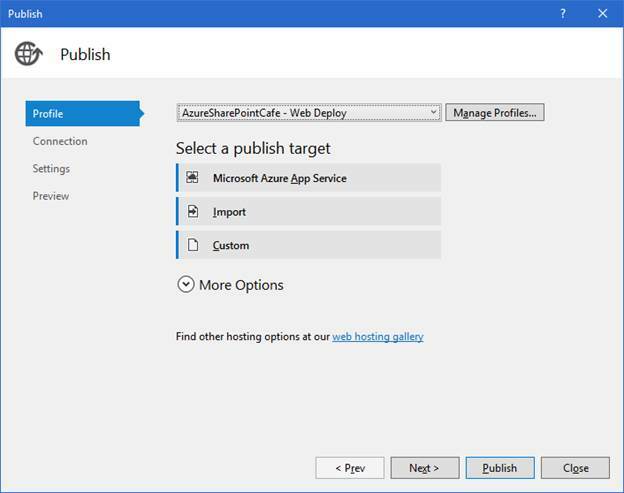 After adding content get ready to publish your application to Azure. 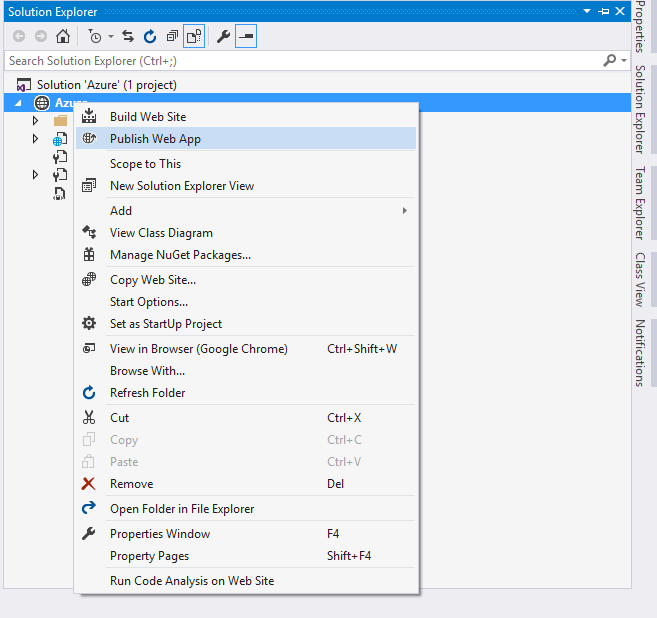 Right click on your web app name in solution explorer and click on Publish. Now below screen will appear. 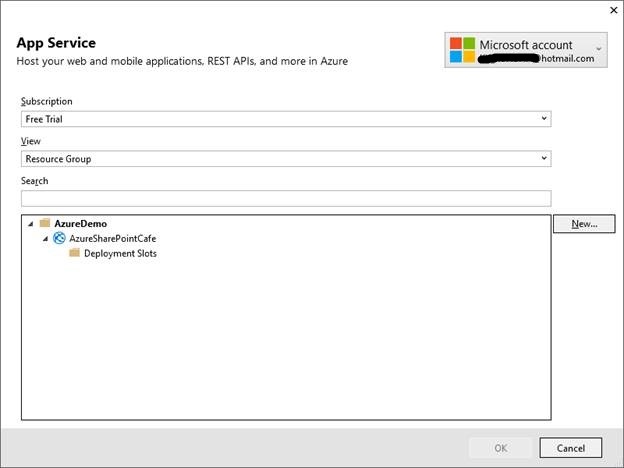 I have already published on Azure so it is showing a profile in drop down. Then it will prompt you below screen. Remember from this step onwards you must have a Microsoft Account with an Azure Subscription either Free or Pay as you Go. Now login by clicking on the box at right side top corner, leave it if your account is displaying in the box. Once you logged in, your subscription will display in Subscription dropdown list. In my case, I have Free Trial for one month. You will see below screen, based on your account it will load all data. 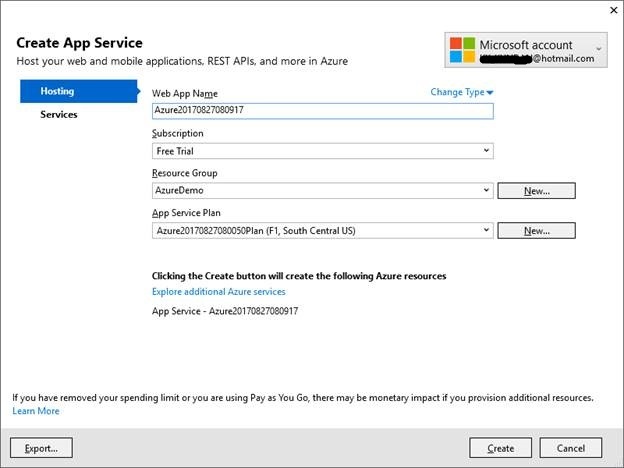 Select your App Service Plan and click on Create. Now a screen will appear with the server name, site name, username, and password. Refer below screen shot. Click Validate Connection. If everything is correct then you may see a green check next to validate connection button. Now you may select configuration either Debug or Release. In my case, I have only Debug configuration. Now your publishing process will start. Once publishing is done, your web page will open in the browser. 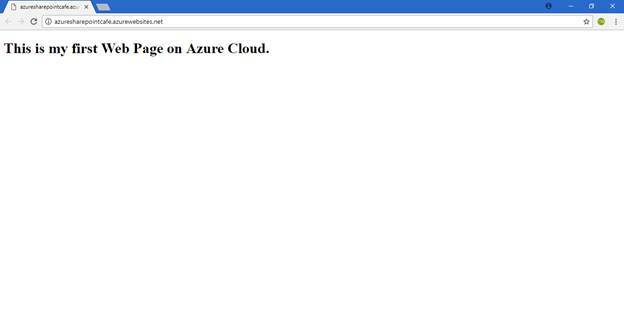 Till now your publishing has been done your web page is ready to serve over the internet hosting at Microsoft Azure. 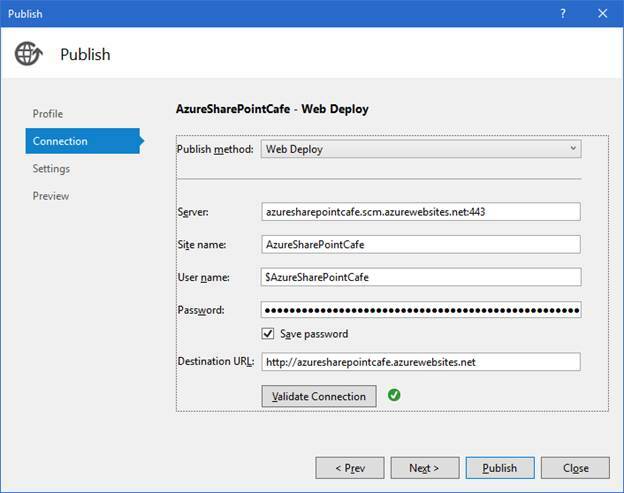 Now to see the details you may log in to Azure Portal and you may notice that an App Service with name AzureSharePointCafe is added. Now click on App service you created. If this blog is helpful for you, please put your comment below and subscribe this blog.